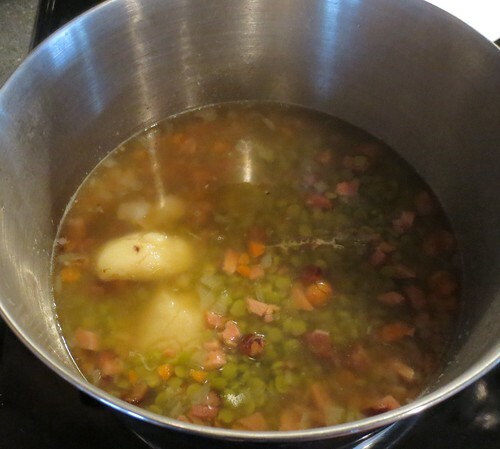 Soup cooking and you can see my potato got so tender that it split in half. After several hours of cooking the potato just falls apart. 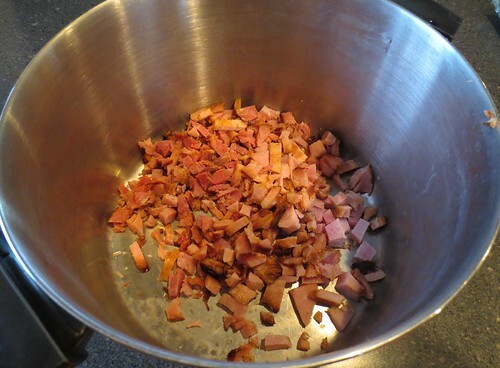 I mash the potato with a big spoon and stir it well. 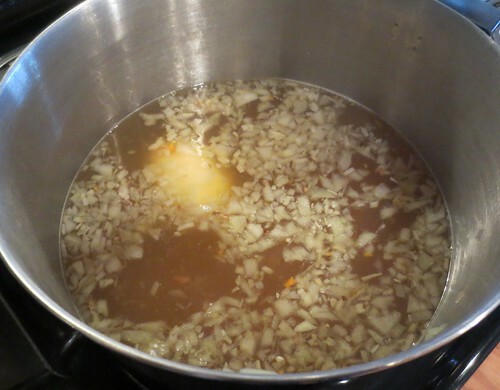 It makes a hearty and very tasty soup with the potato added. Here is the final product. 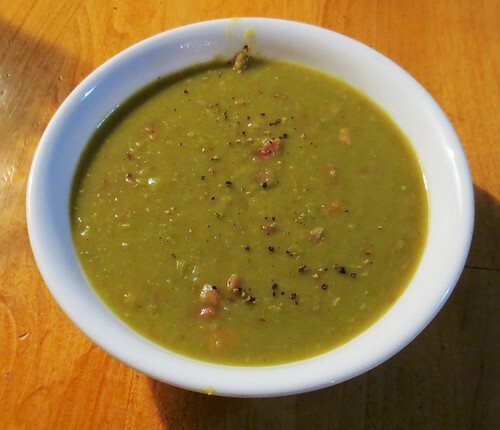 A beautiful and very tasty bowl of homemade split pea ham soup.